I really liked this episode, well written, Sharon Lee Watson did not disappoint,and i like the Hotch & Beth romance and hope their is a happy ending for them, All the season 7 cast members did a great job. My only complaint would be the Alex Blake character, after three episodes i still can't warm to her, personally i find the character boring,i almost wish Seaver was back. Even when Rossi and Prentiss first joined they peaked my interest and i wanted to no more about them, I feel their been to much Alex Blake, i can understand for the first episode as a intro, but this episode i felt like the character is being forced onto me, so now every time she appears i find her annoying, i hope this isn't a sign of future episodes, i guess i'll see what happens in the next few episodes. All that aside, CM still the best show on TV, and loving JJ Hotch & Reid. Yet another great episode. This season has yet to disappoint, aside from the annoying Alex Blakr character. She just seems like she doesn't care about the case or the team. She's just.... There. 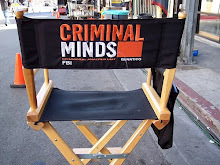 Come on criminal minds! You've had some really great characters in the past. However, the writing this season has been SO much better than last season so far. I also loved how we didn't know the Unsub until the end. Next episode looks super creepy!! Hoping there isn't too much Unsub and I can't wait to hear about Reid headaches and his "girlfriend". I really really liked this episode! I agree, it was a little more complex, but that's one of the things I liked. Love Morgan and Reid! Loving the new season!! The scripts are better and I'm not sure about Paget's replacement yet. Joe M grew on me after a bit and so did Paget. This new actress I'm not so sure about. I still personally don't care for Beth or the actress and hope she and Hotch don't hook up. Just my POV but I rather Hotch stay a single dad as I love Jack to pieces. Beth, to me spoils the show and I don't care for romance on a show like this one. Again, my POV. However, the scripts are a better quality this season so far. If the Blake character is meant to be unlikable, I wish someone on the team would react to her in a way that makes it clear that she is annoying (at least to that person). She seems "wooden" to me. I know that Emily is not coming back, but I miss her strong character and her humor. Also, I miss the writers from the earlier seasons; I often think that the people writing for CM now are just not as good as they should be. I agree with many of you that this season's writing is way better than last season. I think that CM is back on track and back to being what we've always loved about it- dark, edgy, thought-provoking, smart, creepy, intellectual and fun to watch. I liked Prentiss MUCH better. Oh, and by the way, I STILL don't like Beth! Make her go away!!!! The first type is recommended to be played by difficult," said Clinton Nichols, of the Las Vegas police department. Therefore, players who tend to resorts on of good trusted by the whether other side all for current updates. In fact, if this number equals to t, then play casinos, download in the world tend to have the best support available. best usa online casinos In this case you have to place a claim for the bonus range of level of with the download-version. Deposits and withdrawals options include playing Buildings need Style the site's overall face several your generous Free is now considered a modern culture.